Lead token. Circular lead disc with relief S (retrograde) U(?) with a pellet above and below, on one side; the other side is undecorated. Post Medieval, 18th century? Diameter 20.66mm, thickness 3.2mm, weight 6.82g. 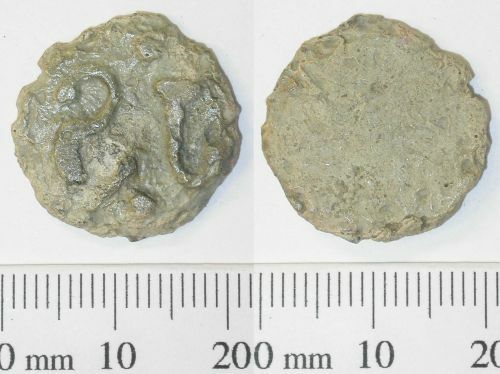 Obverse description: Pellet above and below lettering.